Payment by Paypal or Bank Transfer is also possible. Ideal for Farmers, Growers, Nurserymen, Gardeners - Amateur or Professional, Schools, Hobbyists, Golf/Bowling Clubs, Amateur Meterologists, or just for general interest. Everyone spends much time discussing the weather, especially when it's raining, but what a pleasureable pastime it can be to have your own Rain Gauge to find out how much rain has actually fallen. Total Capacity: Inner tube 1 inch, Outer tube 5.5 inches. 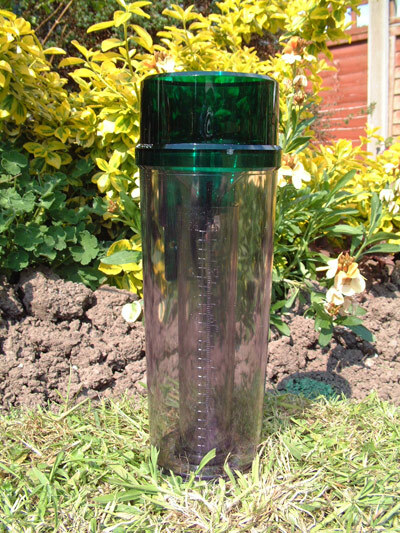 The Remex Rain Gauge is a highly accurate instrument for measuring rainfall. Marked in easy to read graduations in both millimetres and imperial measurements. The capacity is 165mm (6.5 inches approx). 1. Choose a position in an open area such as on a lawn or flower bed, keep well away from fence, buildings, trees etc. which can prevent rain from reaching the catchment funnel and avoid placing on concrete. As a useful guide the gauge should be no closer to a high object than twice the height of the object, i.e. tree height 10ft - closest placement 20ft. 2. Use a suitable pointed post, such as 3" x 2" x 2ft long. Drive this firmly into the ground half way. Although the gauge should be mounted close to the ground, an existing fence post could be used for general information. 3. Fix the mounting bracket vertically, using the screws provided. 4. Place the Rain Gauge firmly on the bracket. For best results the gauge should be read every day at the same time. 1. Remove the catchment funnel and lift out the measuring tube. 2. Hold the measuring tube vertically up to the eye and read off the measurement opposite the water level. This is marked both in millimetres and inches. 3. After reading off the rainfall, empty the measuring tube. 4. Replace the measuring tube in the container and re-locate the catchment funnel. 5. 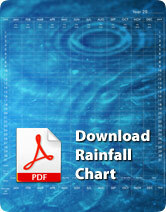 Record the rainfall on the chart provided. 1. Weighs 3.897lbs per square yard. 2. Weighs 4.660lbs (2.11 gs) per square metre. by telephone or email of your intention to return the goods. 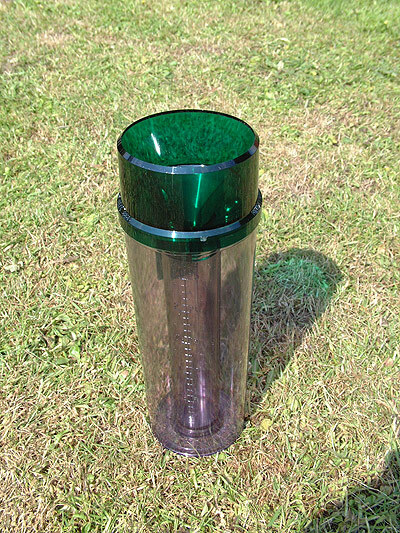 We ask for you to return your Rain gauge in it's original packaging unused for a full refund. Remex, Kilkington Manor, Staunton-on-Wye, Herefordshire, HR4 7LW, UK.